Our holidays are friendly and exciting and run by professional guides with a passion for birding and natural history. Our guides have a professional background from bodies like the RSPB or other conservation organisations. On overseas tours we use local ornithologists who are highly experienced in the country they operate and work in. Our groups are based on a ratio of eight clients to one leader. All tours have inspection trips before we offer them to our clients. We cater for all abilities of birders from beginners to those with more experience and clients who wish to visit more adventurous countries around the globe in their quest of birds. Our tours range from short breaks in Europe to weeks in Scotland and Eastern Europe. Generally speaking, African and Asian tours are up to 15 days and those to South America of 16-28 days duration. To participate in our tours you need to have a reasonable degree of fitness for the tour you select. If you wish to know more about a tour we have bird lists and tour reports or, in the case of inspection trips, a general information package. 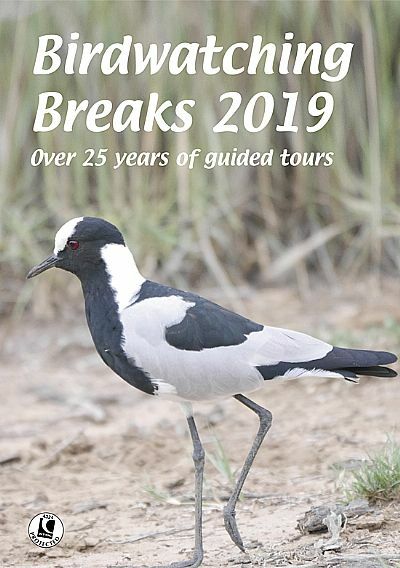 On booking your Birdwatching Breaks holiday we send you all the relevant information including flight details, accommodation, maps, what to take with you, health and visa regulations, titles of field guides and where to obtain them.